Stefan Kronos is an artist with psychic gifts who acts as a law enforcement consultant. 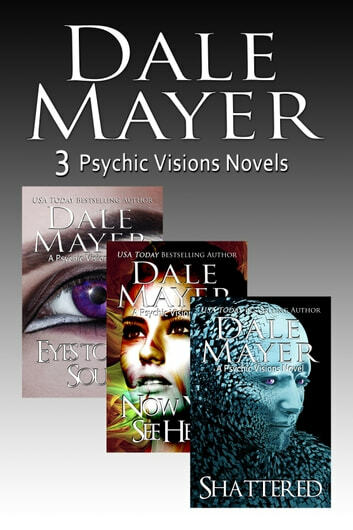 He heads a community of psychics, seeking out others like him in order to assist these misunderstood souls toward a better understanding of their unique talents, learning to deal with the fundamental complications and consequences of having them, and in further developing them. Dean is moonlighting as a guard at the hospital Tia finds herself in. Dean can't believe the insane things she tells him--until there's no other choice. Hannah has been told all her life there's something wrong with her, something her doctors can't diagnose. But she'd rather than die than stay imprisoned--and studied--forever. Then Trevor offers her a way out, one that might actually mean permanent liberation for her. What a wonderful and intricate series. I can't wait to read the next story. Amazing story line!..I have read all of the books in this series and have found a new extraordinary author! I have enjoyed theses books so much, that they are all going in my new section of re-reads!! What an incredible find!..Cannot wait for the next book! Thanyou!! Wonderful and thought provoking. Thought provoking, excellent.